The Weider PRO 5500 multi gym is an eye-catching piece of equipment designed for home use that has been created to guarantee safe and comfortable workouts. With a leg developer, a butterfly station, an arm press and high and low pulley stations this great piece of kit is sure to give you great results. It features a solid tubular steel frame for extra durability, as well as a fully padded vinyl-covered seat and foam rollers ensuring maximum comfort. In addition, the precision bearing pulley provides a smooth movement of the weights. The multi gym offers an 85kg (187.4lbs) single stack of weights in a protective shroud. for submitting product information about Weider PRO 5500 Home System Multi Gym We aim to answer all questions within 2-3 days. for submitting product information about Weider PRO 5500 Home System Multi Gym. We aim to answer all questions within 2-3 days. If you provided your name and email address, we will email you as soon as the answer is published. 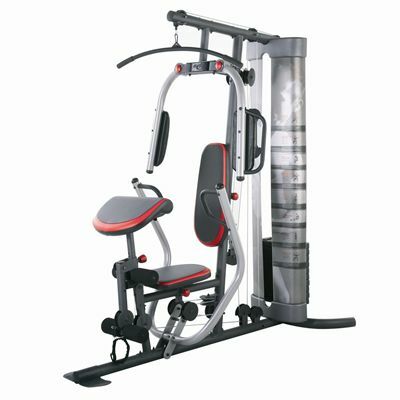 Do you do installation on this multi gym is Weider pro 5500? Max weight for butterfly shows as 40Kg, is that correct as it seems a bit light? It's correct, max weight butterfly in this Home System Multi Gym is 40kg (88.2lbs). Is it possible to set up butterfly to perform reverse flyes (for rear delts)? Is the largest box that this item is delivered in within the 80 kg limit for upstairs delivery? The heaviest box weighs just under 80kg and will therefore, qualify for delivery upstairs. I notice that some of the weights given eg for the high pulley (102kg) are heavier than the weight stack. Is this due to the pulley system or does this include additional weights added to the stack? A multi gym consists of several sets of cables fitted to a strong frame, usually made of steel. These cables play an extremely important role to the operation, cables add extra resistance to the weight because of the tension, this makes the selected weight feel heavier than it should. Great bit of kit, not easy to assemble, be warned !! set aside at least 8 hours and loads of patience. Once assembled it works really well and has lots of useful exercises which can be performed. It's a very impressive multigym when up and running. My only gripe is the fact that many of the hundreds of bits come unlabelled so you have to be patient and use your brain a bit. Took me more than 6 hours (and some swearing) to get it finally all together. The instructions could be much better. The diagrams are not accurate and a tad poor. I'd actually challenge the CEO of the company to assemble it straight from the box on their own. So many bags with unlabelled bits!!! 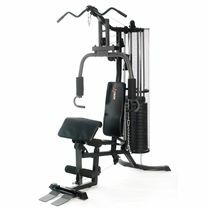 this is a fantastic home gym please check other reviews online as confirmation 5* ! cant beat next day delivery. well done sweatband. comes in 4 boxes of which 3 are the weights. you are left with 1 great big box :O) (yes i overdid it trying it out) still getting used to the diff exercises (pull downs can be awkward trying to avoid chest press arms but that may just be me. overall very pleased. 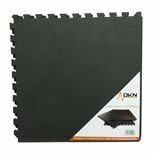 great delivery great multigym great price . sorted. for submitting product review about Weider PRO 5500 Home System Multi Gym.